Custom Personalized with your Company Name. 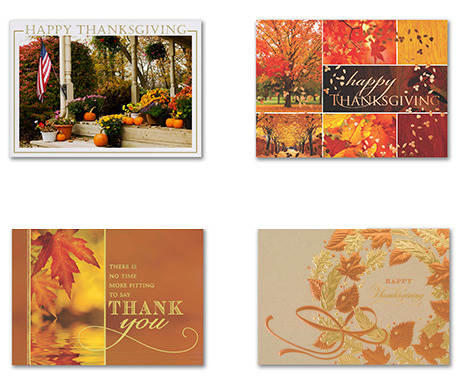 Corporate Thanksgiving greeting cards for business clients, employees, associates, friends and family! Order your cards with verse only or with your custom business name or imprint. Large selection of top quality greeting cards - all available personalized with choice of verse. The fall season is the perfect time of year to connect with business V.I.P's!